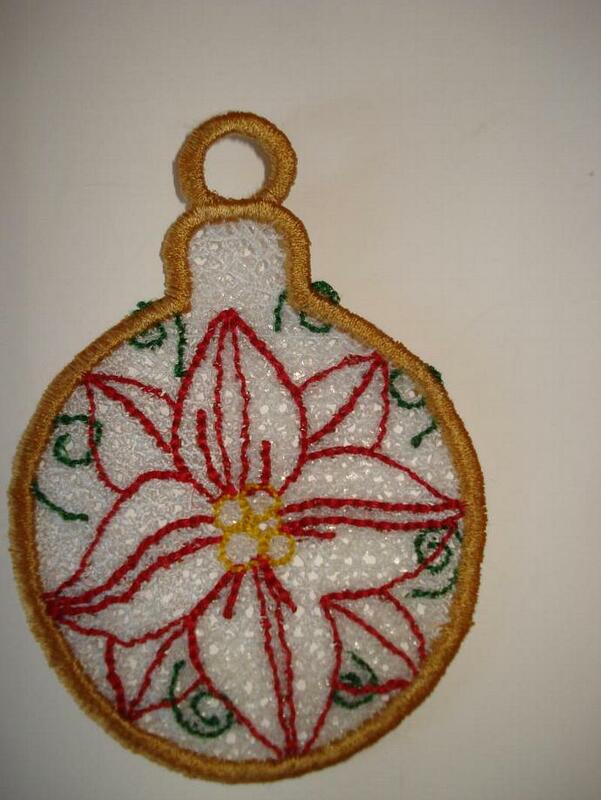 Poinsettia Machine embroidered FSL ornament. A gold ribbon has been added so this can be hung anywhere - Christmas tree, window, anywhere! There are almost 8,000 stitches that make this ornament!